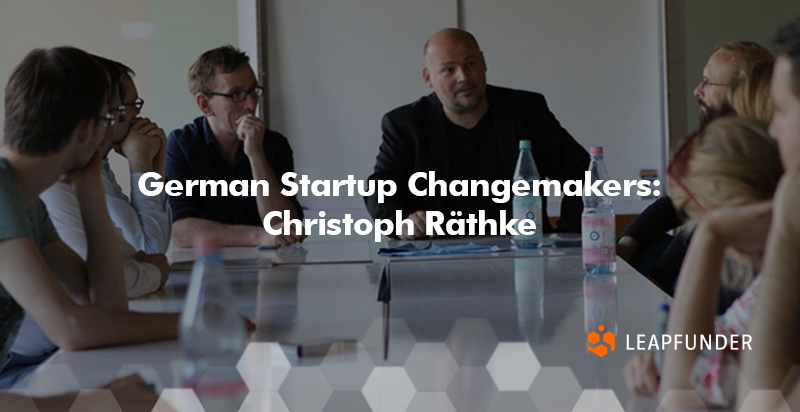 Since we are live Germany we have been interviewing German Startup Changemakers as well. We talked to Christoph Räthke, the founder of Berlin’s boutique accelerator program Berlin Startup Academy, a startup founder, investor, writer, speaker and mentor. Find out more about his background, what he predicts for the Berlin startup ecosystem and what are the top lessons for founders he learned over the years. 1. Hi Christoph, thank you for agreeing to do the interview. Could you tell us a bit about your background and how you entered the startup world after studying ancient history? While studying, I started dabbling with HTML; at a time when there were no editors yet. So you had to literally write HTML on WordPad, as if it was a regular text, then load the document into the Mosaic browser, and see if you got it right. Based on that little knowledge and the experience I got with early internet terminals at my Uni (who remembers the “Pine” mail client? ), I started giving classes for my fellow students: “The internet as a research tool”. At that time, around 1995, I had my first homepage up and the rest is ancient history. The then-emerging internet economy swallowed up anyone who could switch on a computer, so even someone who had graduated in Greek philosophy of the 4th century B.C. like me got his chance. In late 1999, I joined my first startup team. We were right on time for the crash of the bubble, but after that initial experience of designing a business from scratch, there was no way back for me. 2. Until January 2018 you ran Entrepreneurship Education at GTEC, Germany’s leading campus for digitalization. What was your aim there? I’ve created and largely ran the GTEC formats that educate people about how to benefit from digital entrepreneurship. For people from all walks of life who want to find out what – and above all: who – this startup thing is all about, there are bi-weekly talks of famous entrepreneurs. For individuals who have moved further along and are beginning to work on startup ideas, there is a wide array of meetups that provide feedback, P2P knowledge-sharing, or in-depth info on founder-relevant topics. With these formats, GTEC has reached thousands over thousands in the past three years; the ‘G-Force’ idea feedback meetup alone, which I started in April 2015, is approaching 60 sessions and 2700 members. On top of this array of community and founder-centric education formats, I was designing and running high-level workshops for leaders from established industries – companies like Bosch, BASF and many others. Across the board, GTEC’s secret sauce is the founder-centric approach. It’s CEOs and founders, not lecturers, consultants, or managers, who can teach most about what digital entrepreneurship is really all about. 3. You’re the founder of Berlin’s boutique accelerator program Berlin Startup Academy. How does it help the Berlin startup ecosystem and what’s the thing you’re most proud of in shaping it? For good and bad, the Startup Academy was, and probably still is, Berlin’s only accelerator that is not corporate or subsidy-funded, but runs itself as a bootstrapped startup. 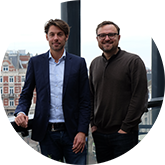 I can only run it because of its mentor network of some 150 of Berlin’s best entrepreneurs and investors, the friendship and collaboration with some of whom dates back to 1999. Since I founded it in 2012, we have helped some great founders establish their startups. Between the mentors, there have been joint projects and investments, too. Each Academy program boasts several ‘open mentoring sessions’ where Berlin’s entire founder community is invited to profit from our high-class mentors. Just in December, our session on VC funding, with 13 well-known VCs explaining their investment do’s and don’ts, drew a crowd of over 200 guests. And of course, we presented Leapfunder as the New Kid in Town! 4. Could you share the top 3 lessons for founders you learned over the years of working with startups? 1. Get early verification of your idea right away. There is no excuse for NOT asking potential customers and experts from the startup world for feedback literally the day after you have spelled out your idea for the first time. 2. Create as much as you can without spending money. There is no excuse for NOT getting knowledgeable enough about software and tools to build something from your living room; something that costs time and creativity but little money. And that enables you to build first relationships with and get data from customers. 3. Particularly if you’re in the B2C field: don’t overestimate your customer’s readiness to “explore”, “discover”, and “engage”. Always consider that when it comes down to it, the large majority of consumers wants everything effortless and on a silver plate. I know I do :). 5. 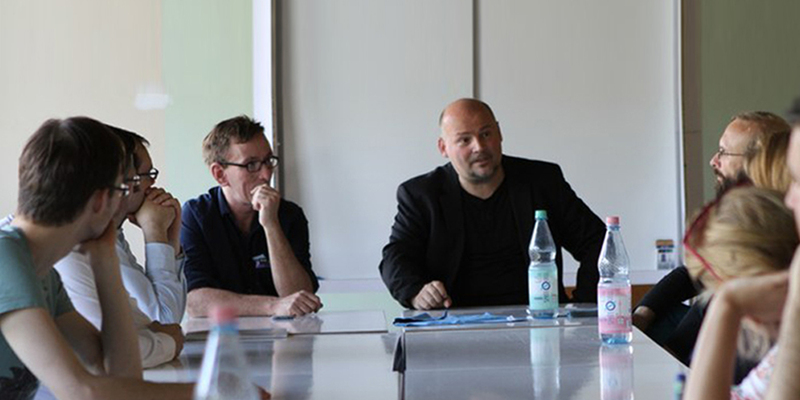 What do you predict for the Berlin startup ecosystem in the near future? What are your plans, what will you focus on? I believe that Berlin can become the heart of the digital economy in Europe. In the mid-1800s, industrialization more than anything needed coal. That’s how the Ruhrgebiet became Europe’s industrial powerhouse, the region stood on billions of tons of that stuff. Today, digitalization needs talent, experience in working with data, and a global influx of material and immaterial resources. And this time, it’s Berlin that stands on billions of tons of that stuff! Me, I’ll help putting it to good use. Thank you for your insights Christoph, we wish you the best of luck in your future endeavours!